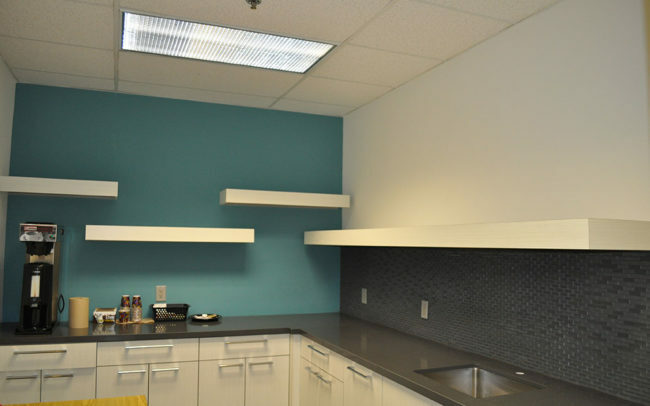 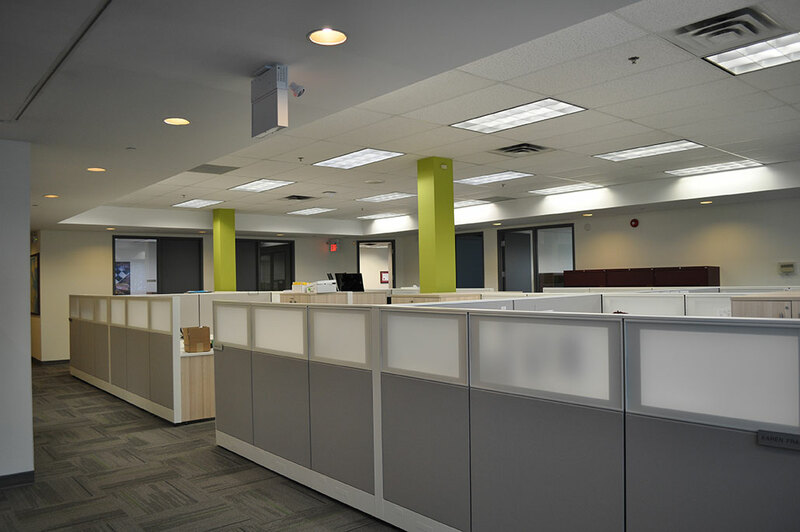 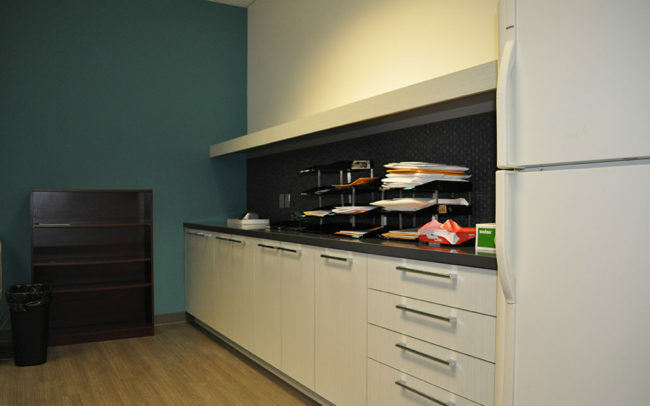 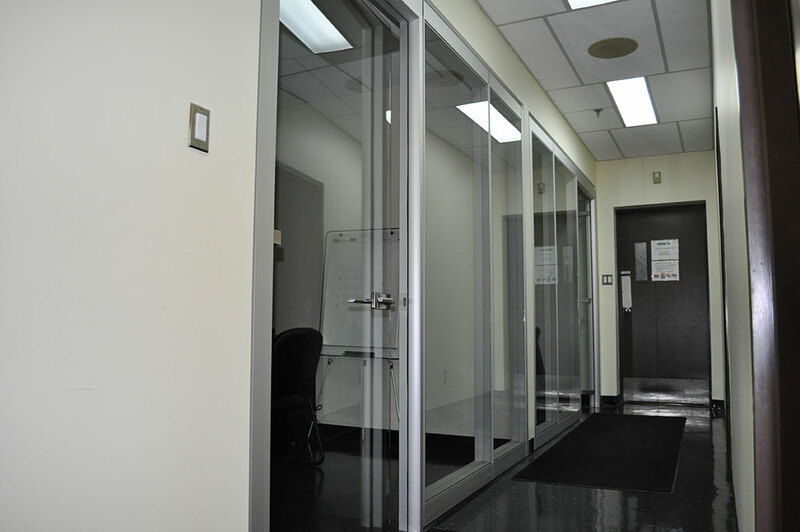 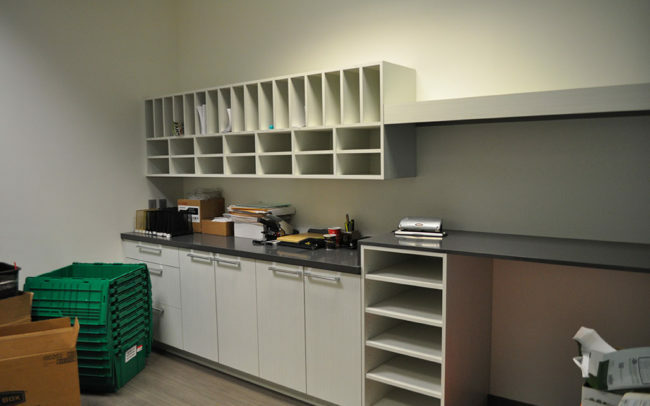 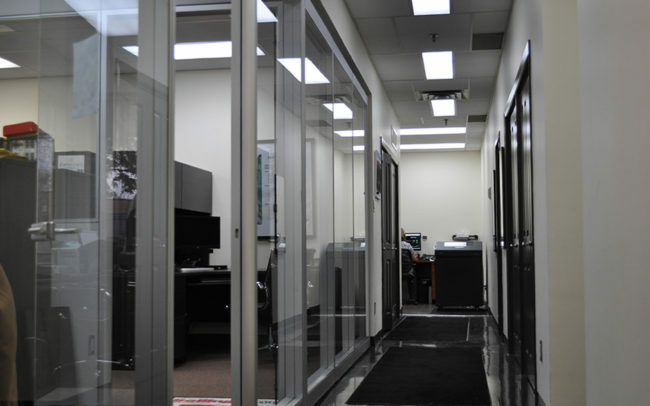 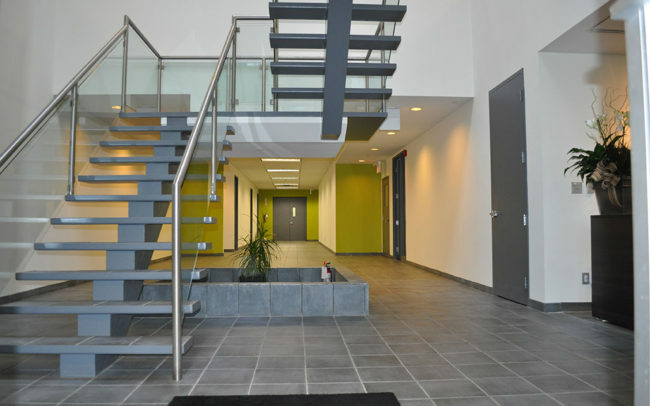 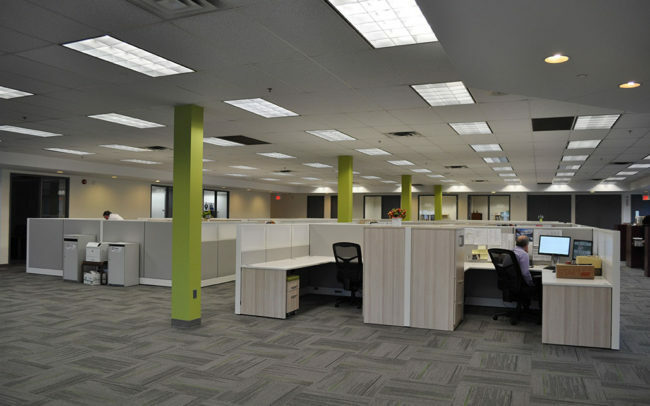 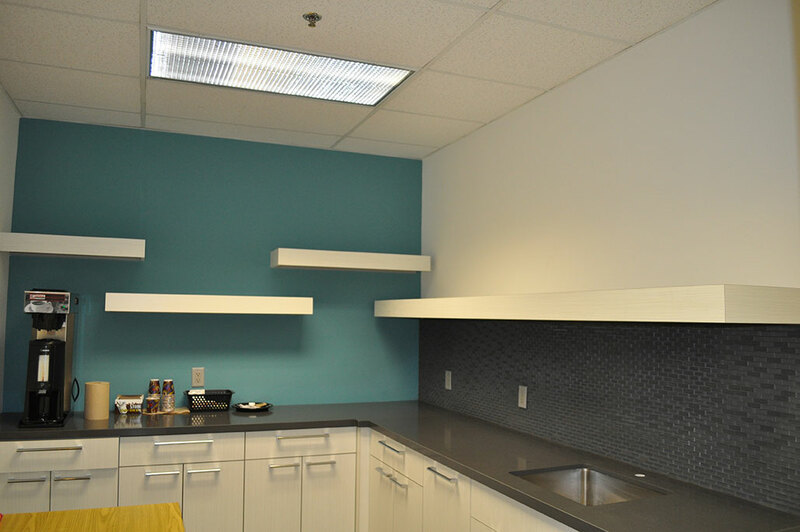 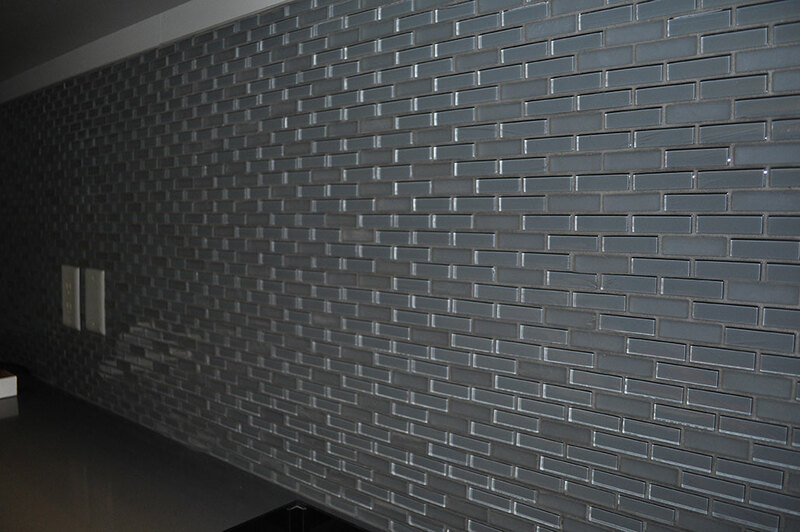 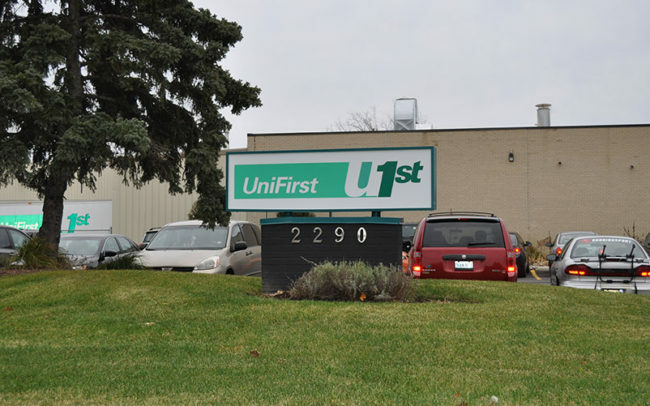 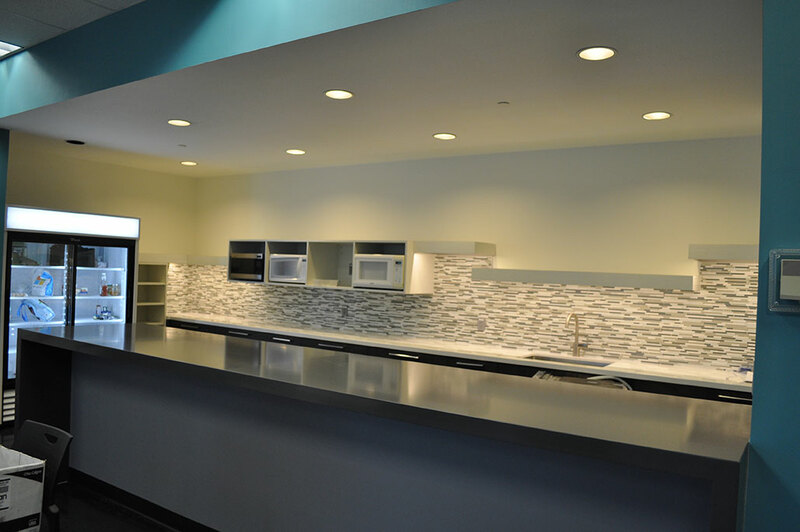 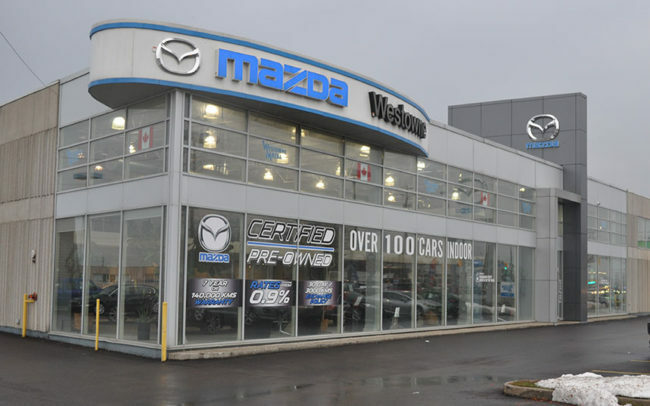 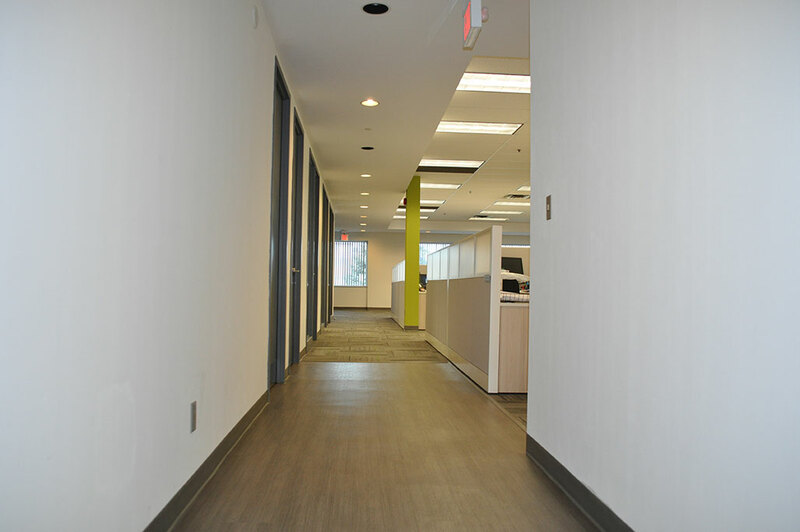 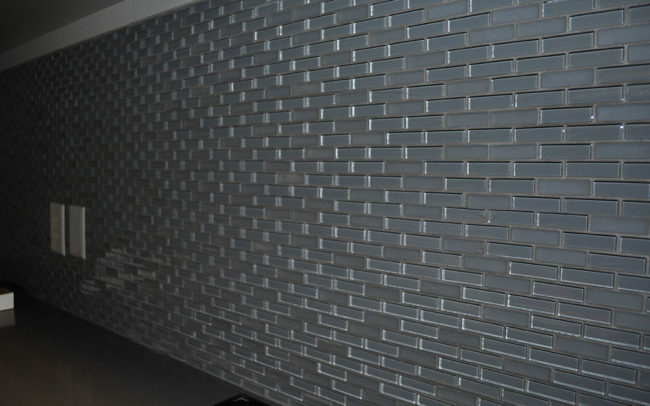 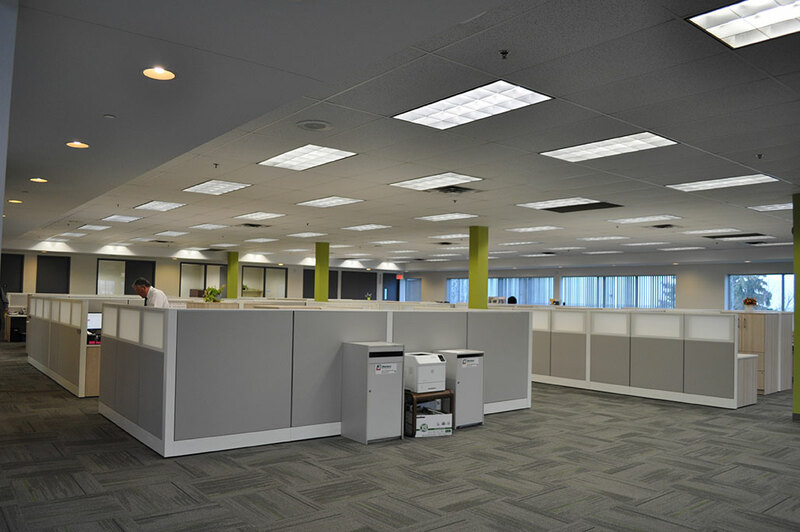 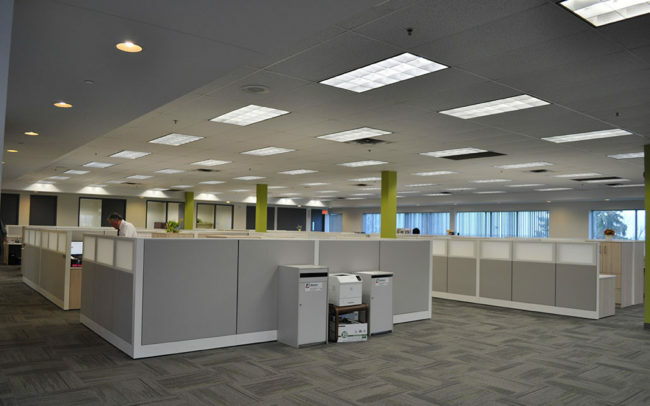 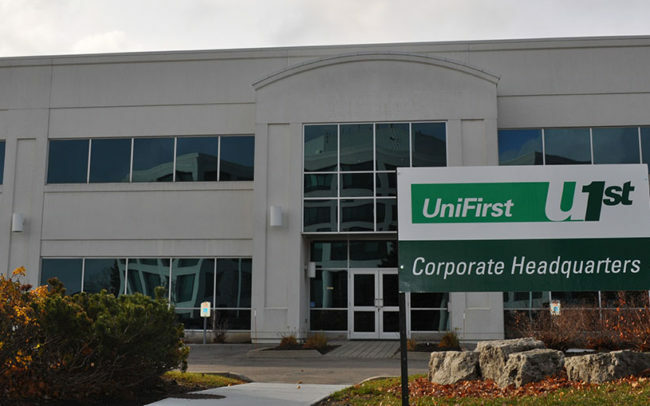 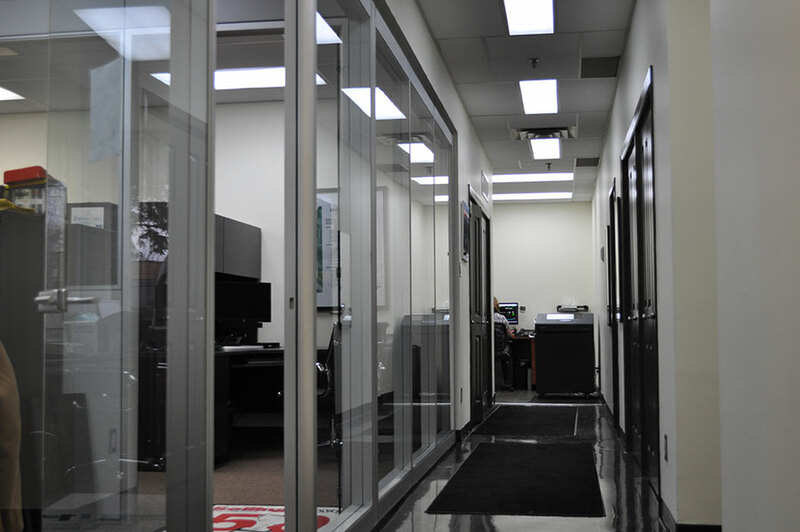 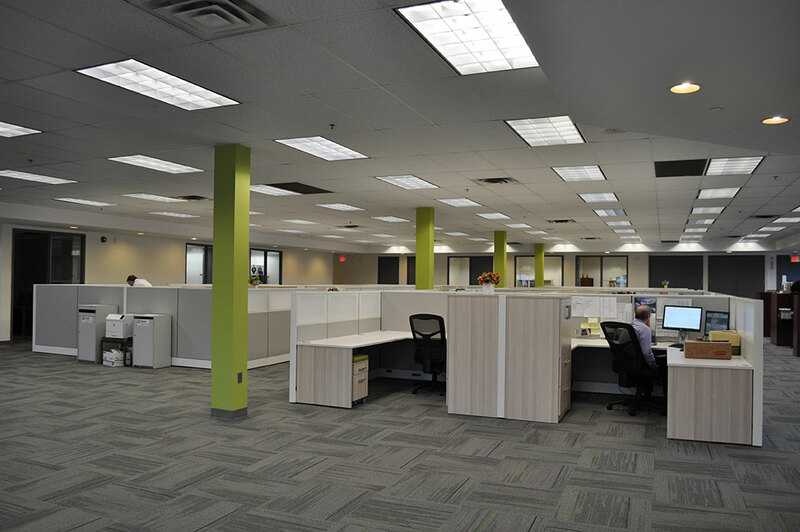 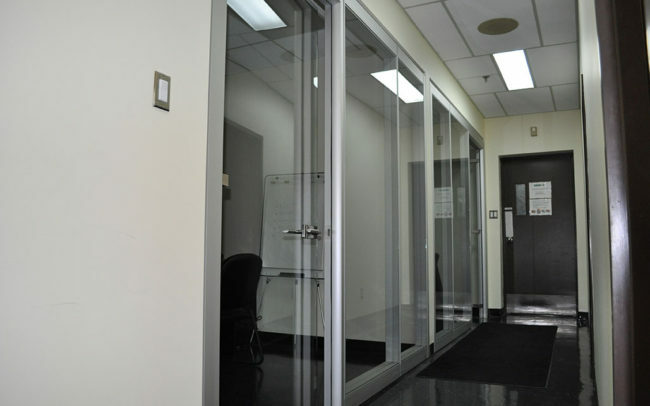 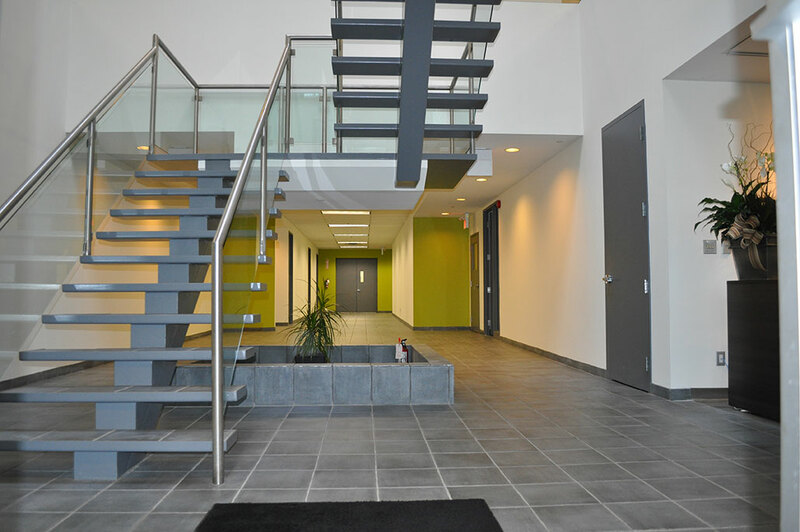 UniFirst Corporation – Vertex Construction Inc.
UniFirst Corporation had a vision for a modern workspace that needed to be done right and we were more than up to the task. 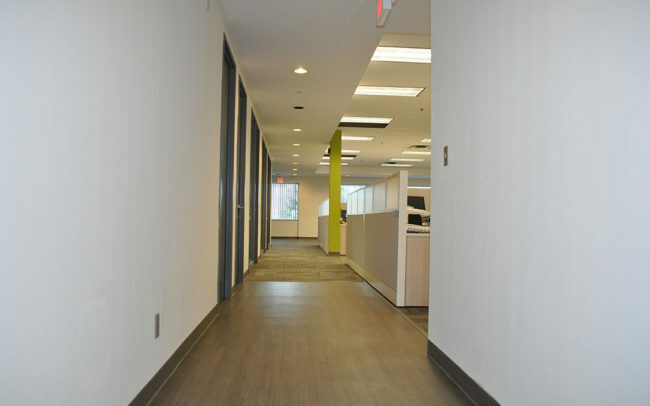 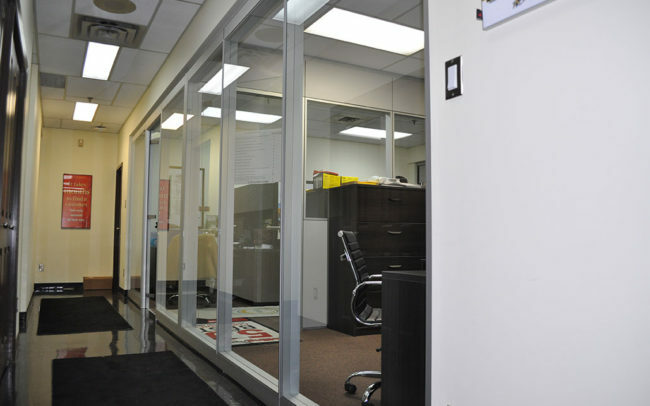 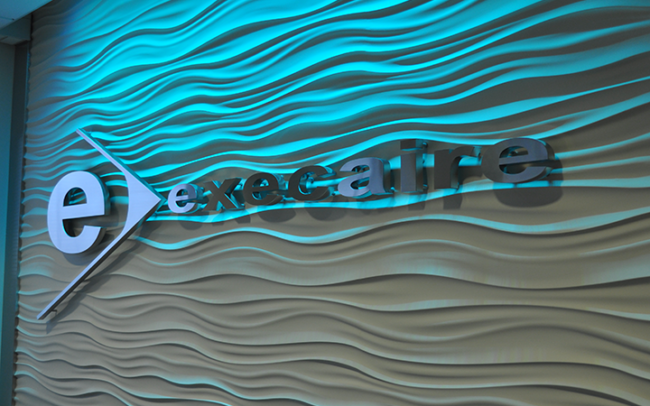 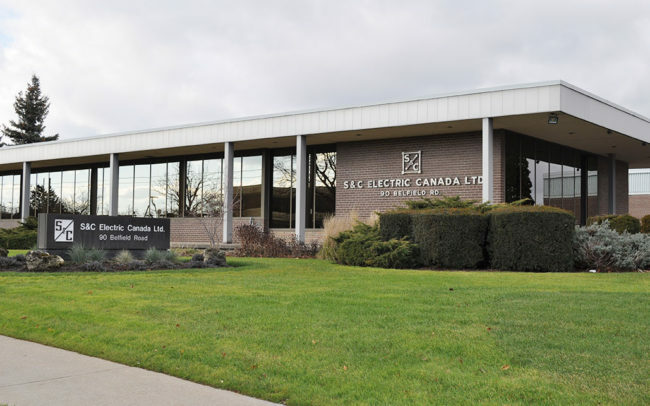 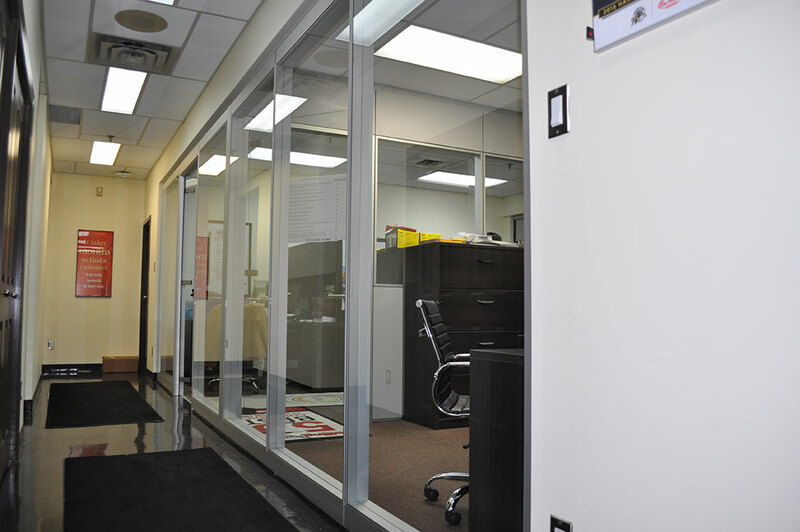 We completed a full office renovation featuring modern glass office partitions, a new mailroom and multiple staff kitchens. 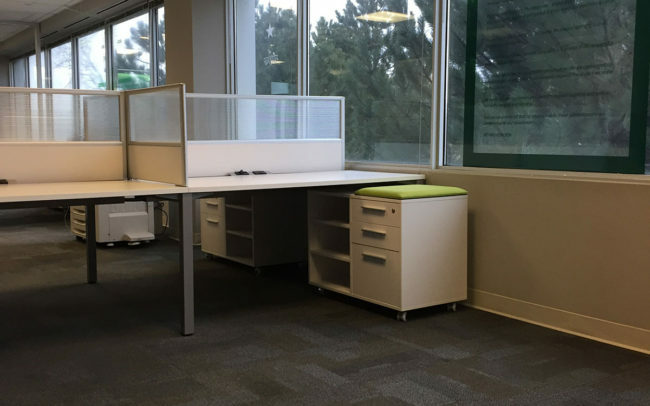 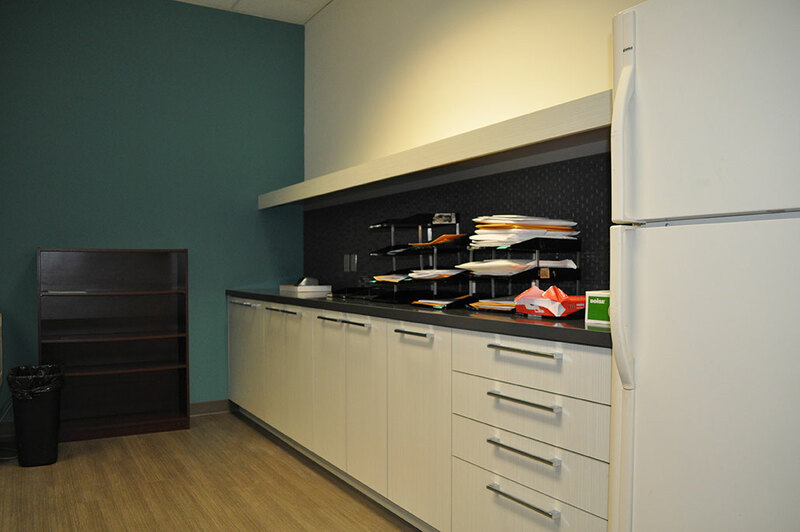 All new flooring including carpet tile and luxury vinyl tiles proved the perfect base for their new workstations. 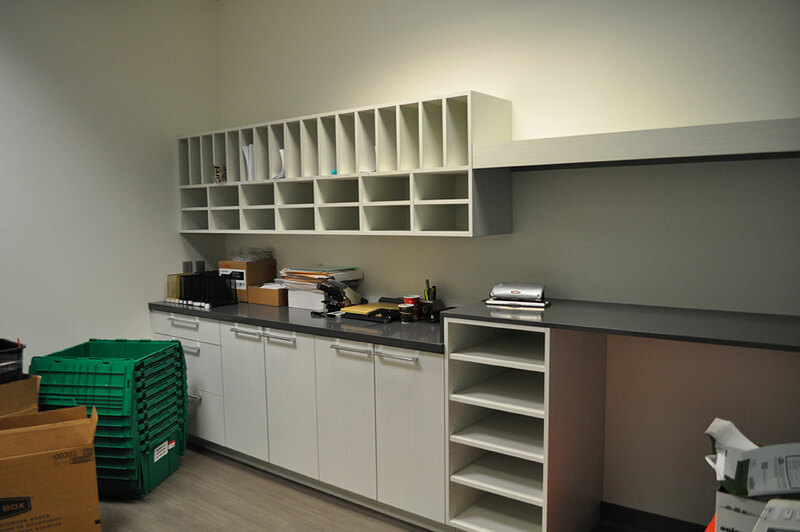 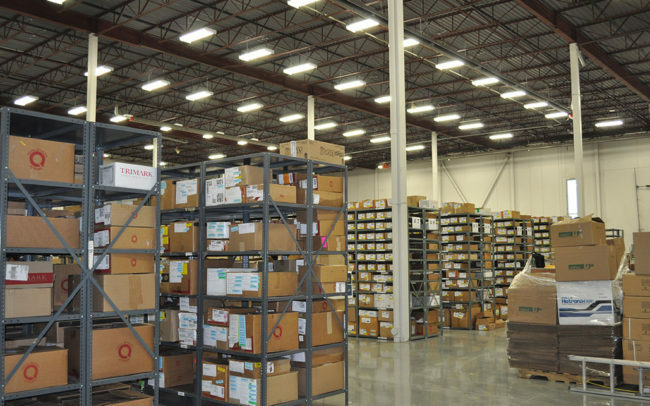 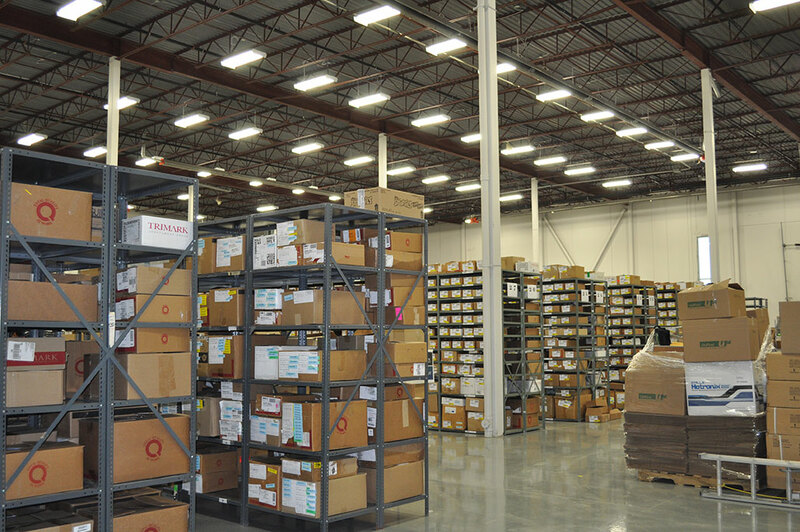 Plus, their warehouse was clean and clutter free with a new epoxy floor and new storage shelving.